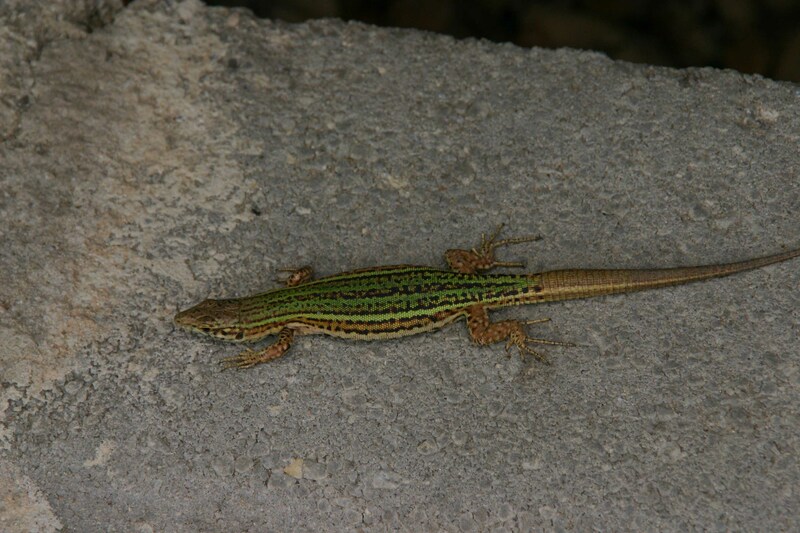 This was not exactly a serious herpetological field excursion, it was in fact an organised trip for foreign students living in Murcia, so that we could all experience the infamous nightlife this small Mediterranean island has to offer. 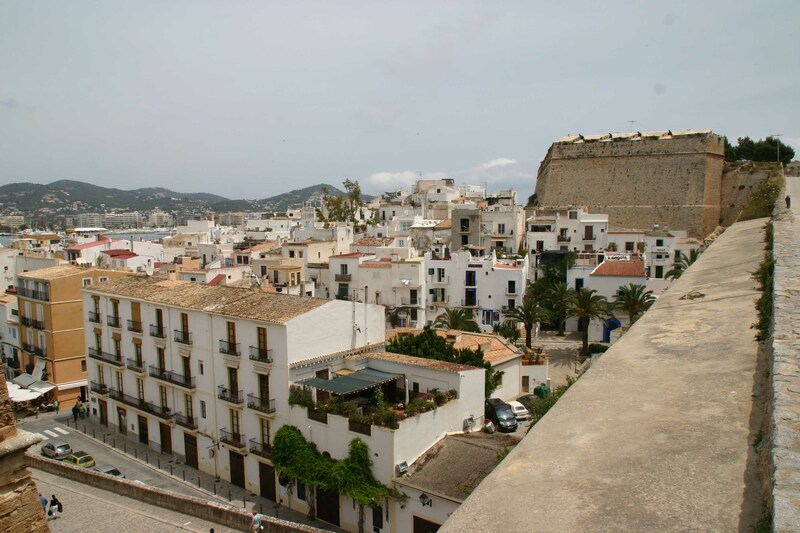 So I along with a group of over a hundred students got on a bus from Murcia to Valencia where we took a ferry across to Ibiza were we would stay for the next five days. 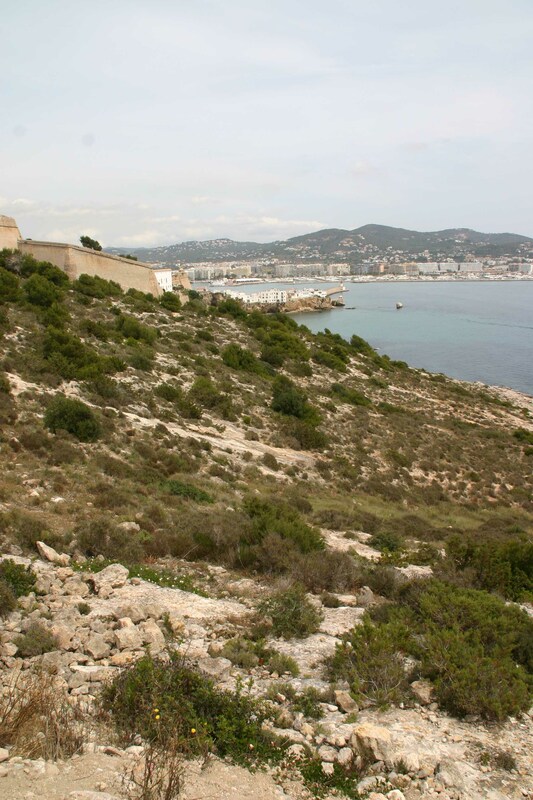 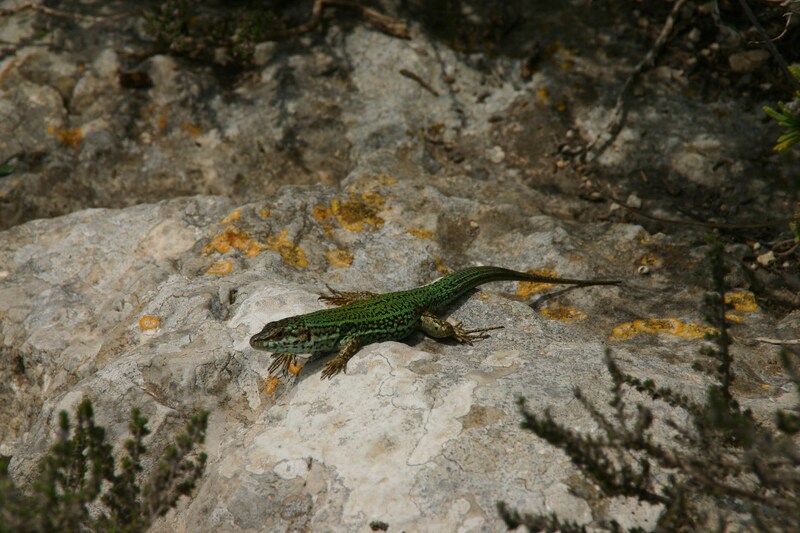 However between daytime excursions and very long nights in some very large and lively nightclubs I was determined to find some time to explore on my own and find the indigenous Ibiza Wall Lizards (Podarcis pityusensis ssp). 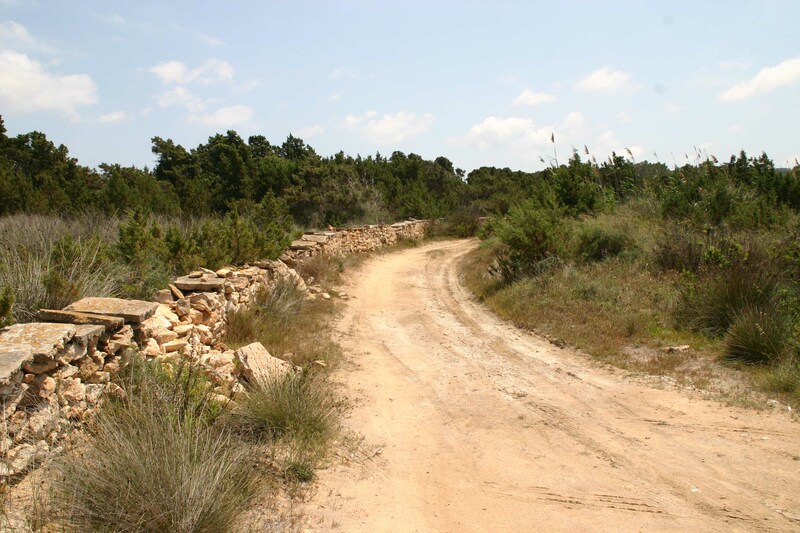 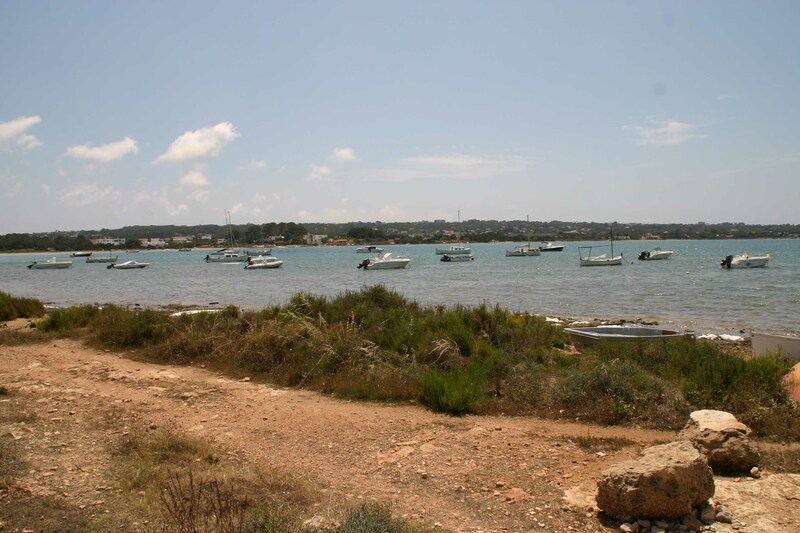 I spent roughly one day in the field in Ibiza in proximity to Ibiza (Eivissa) Town the capital of the island, and only three hours during a boat trip on Formentera. 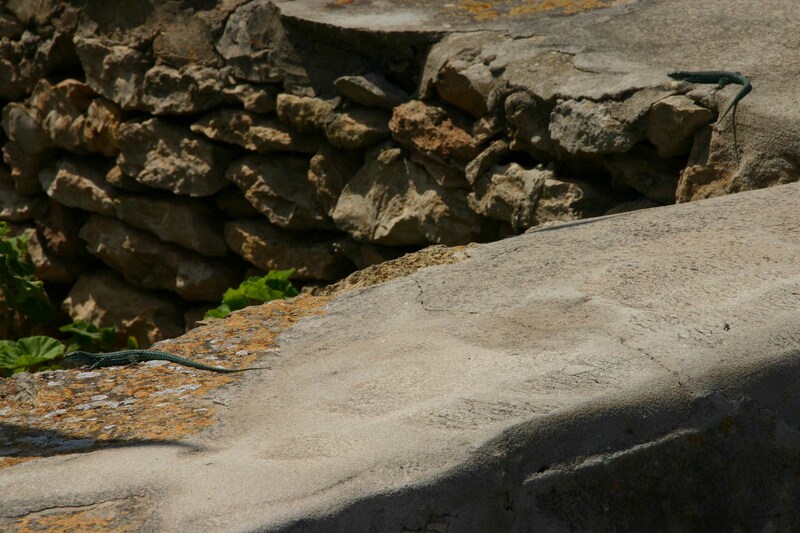 As this was a last minute trip I was not able to piece together a lot of information for these islands, except that one thing was clear, neither island has any snakes….this made me feel rather strange when I was exploring as Formentera in particular would be perfect place for so many snakes to live, as on this small island I have never seen so many old stone walls. 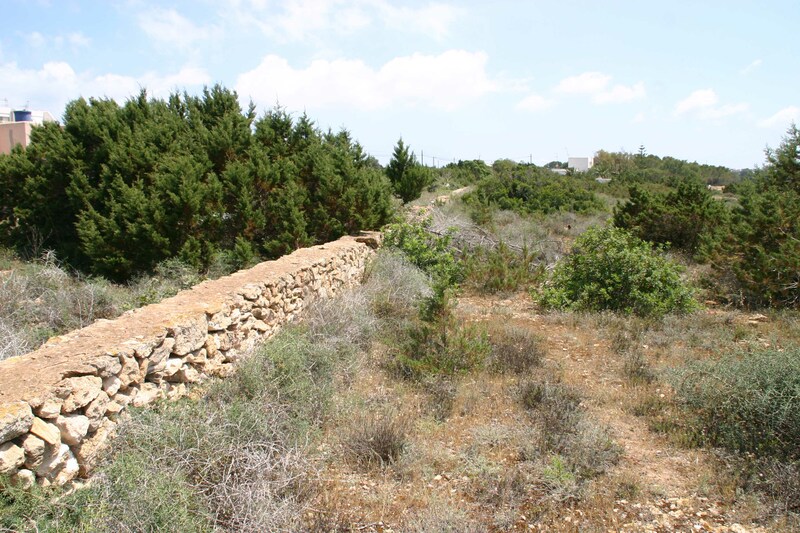 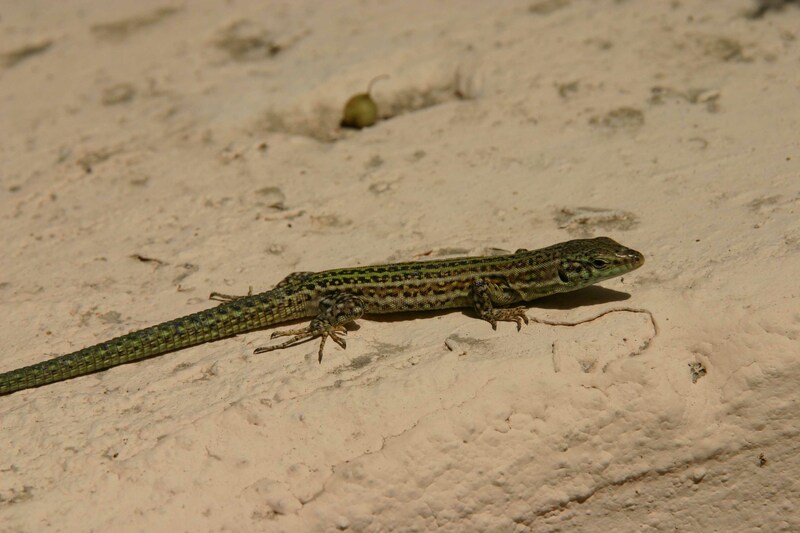 Furthermore it would appear that apart from the famous wall lizards both of these islands are poorly represented as far as reptiles and amphibians are concerned. 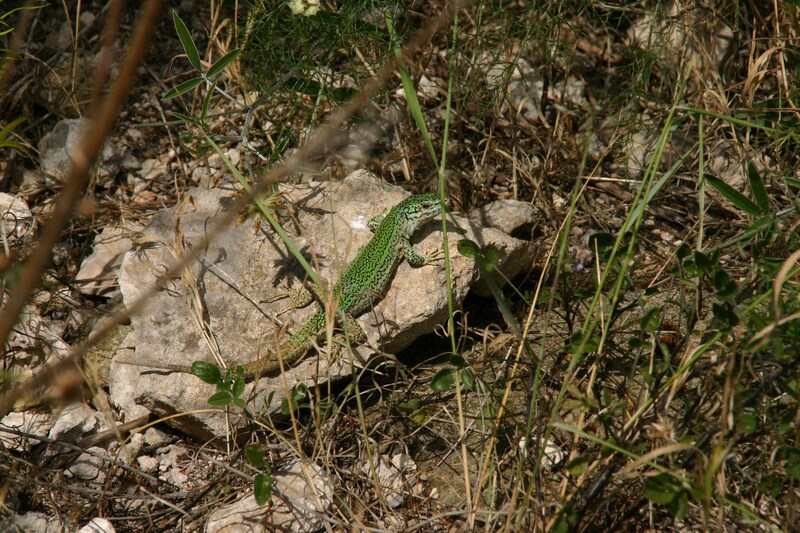 There are un-confirmed reports from both islands for Spur-thighed tortoise (Testudo graeca) which to me doesn’t seem likely, apparently the island’s only amphibian the Green Toad (Bufo viridis) is rare on Ibiza, and I was unable to locate any Turkish Geckos (Hemidactylus turcicus) which are said to occur on Ibiza as well. 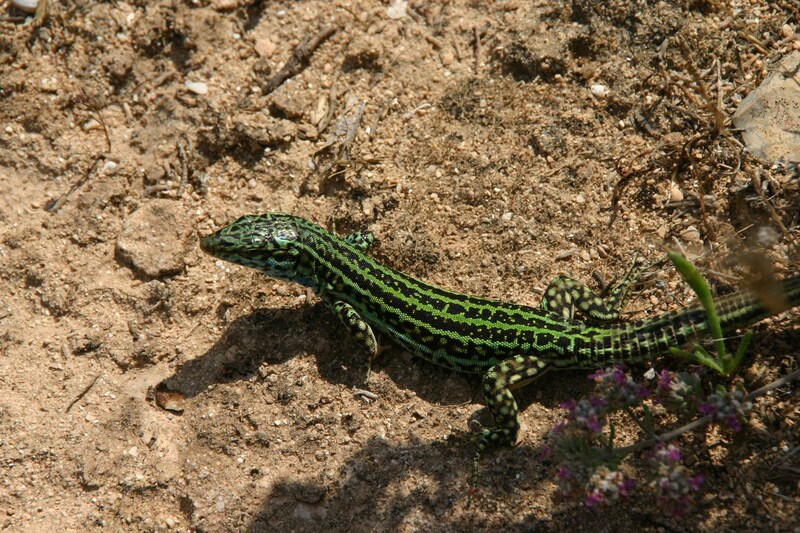 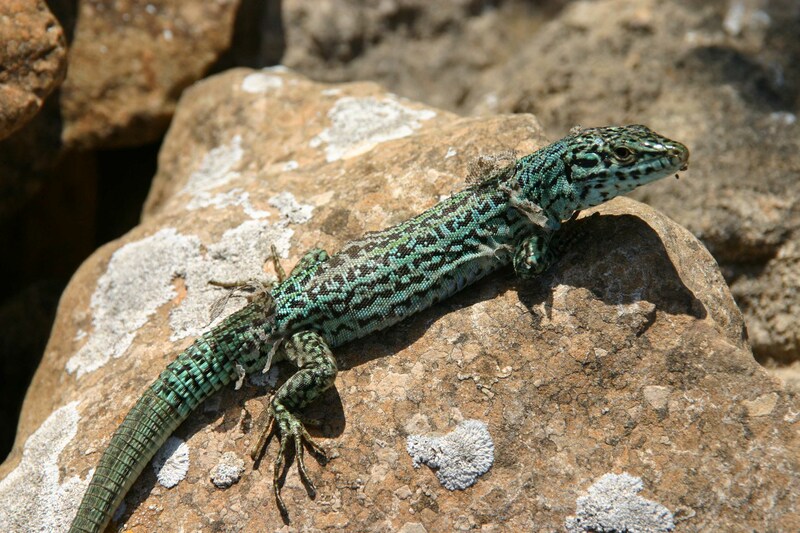 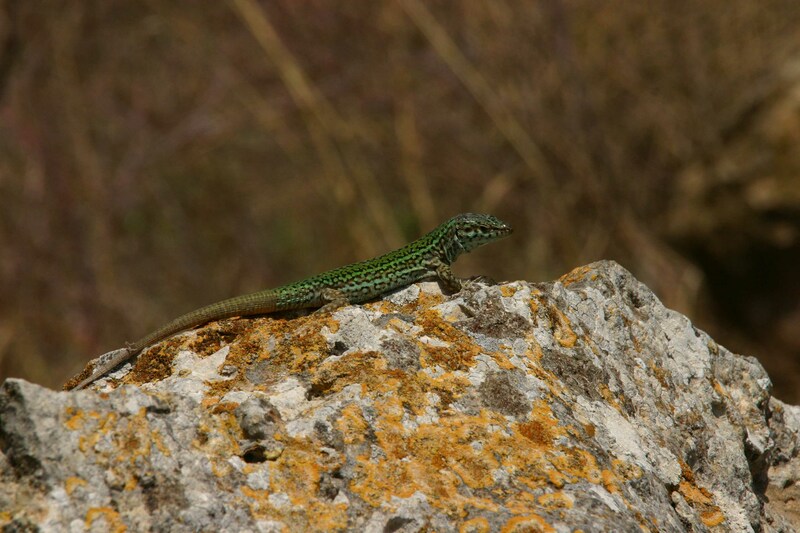 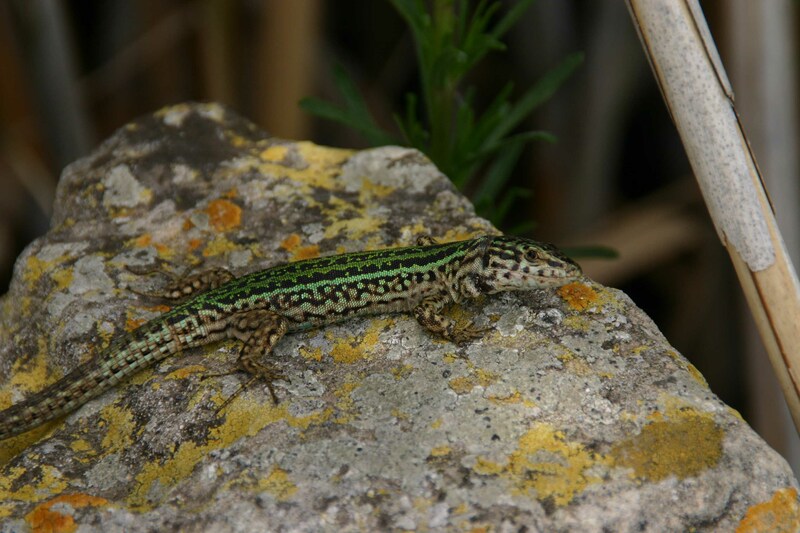 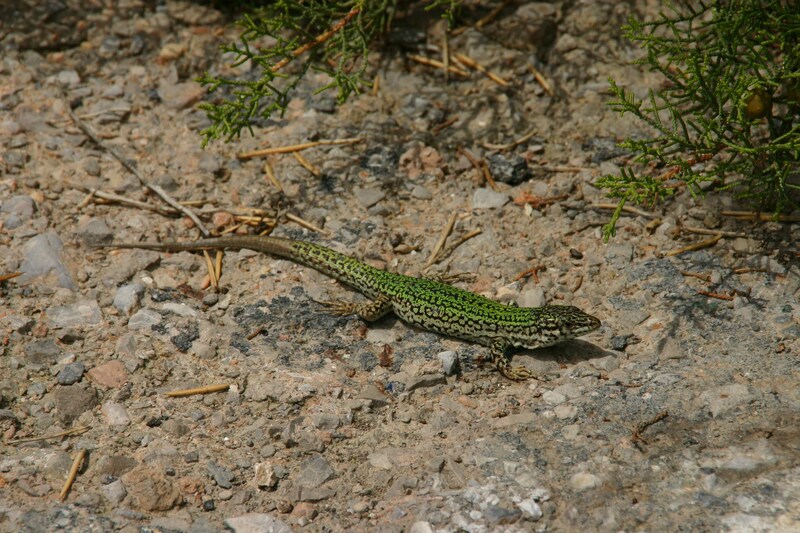 But the lack of other species didn’t really matter too much as I have never before seen a reptile in such high densities as both Ibiza Wall Lizard (Podarcis pityusensis pitusensis) on Ibiza, and Formentera Wall Lizard (Podarcis pityusensis formenterae) on Formentera. 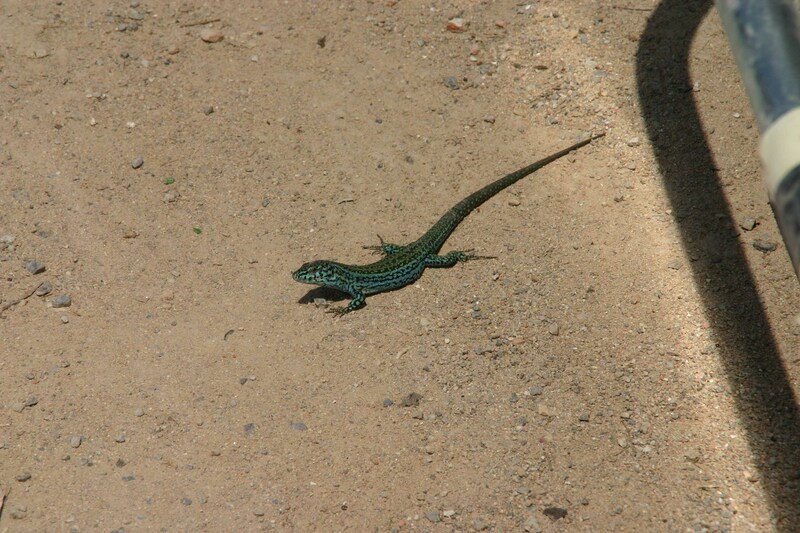 In some areas I could estimate 30 animals for every 8-10 metres. 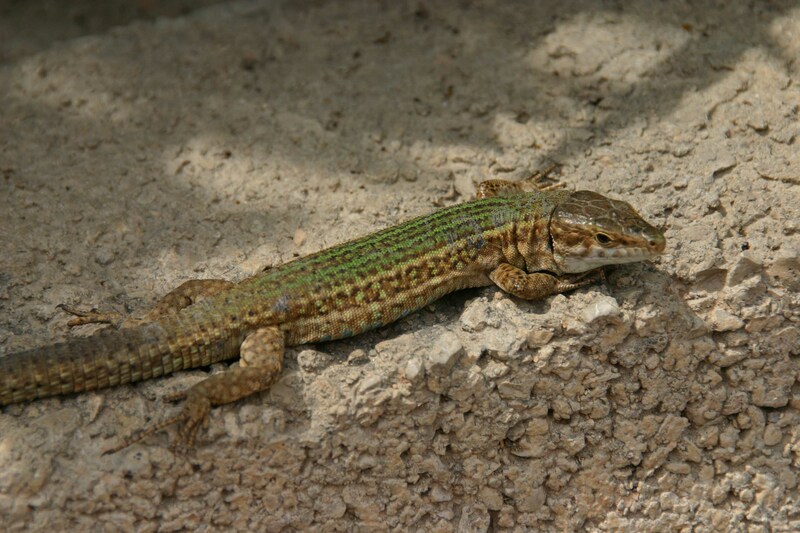 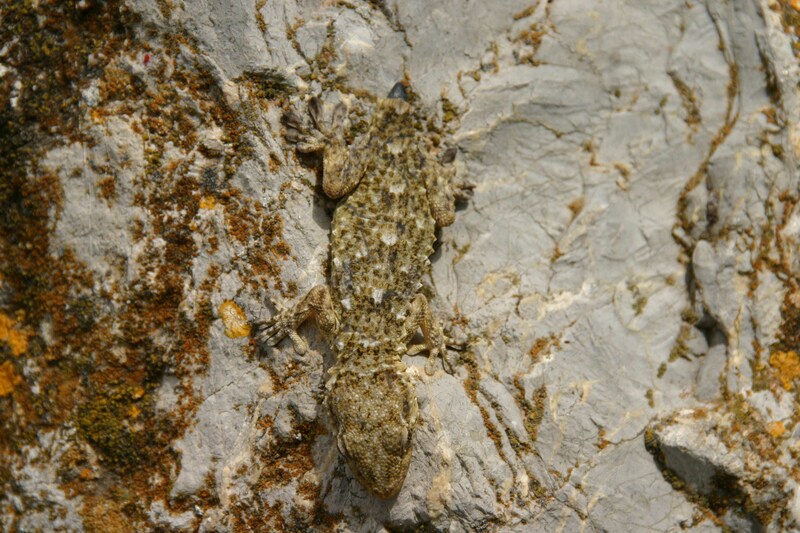 It is clearly evident that these lizards can be found in virtually any habitat, as well as practically every off shore islet surround the main islands where further subspecies occur. 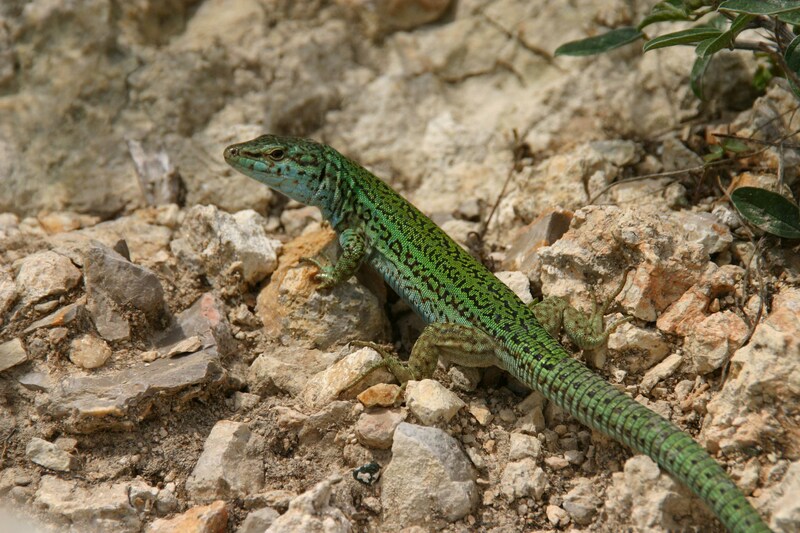 I could easily spot the differences between some animals on Formentera as they were a beautiful blue colour in comparison to the greener animals from Ibiza. 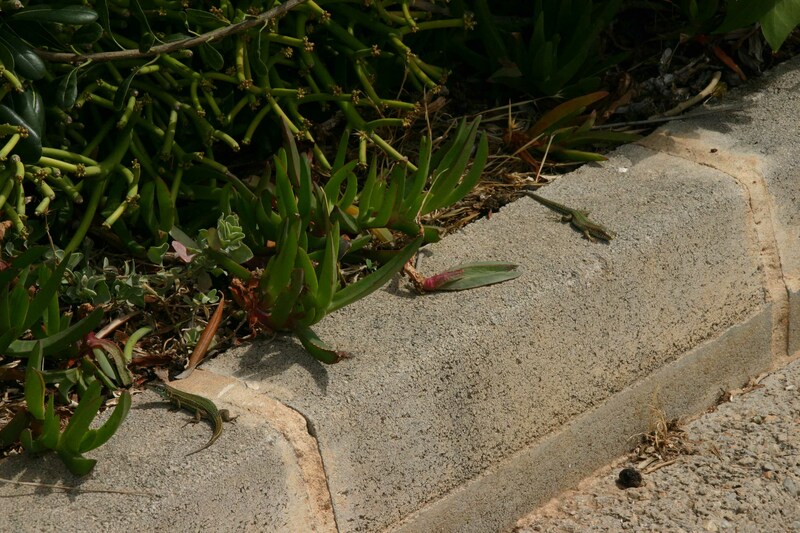 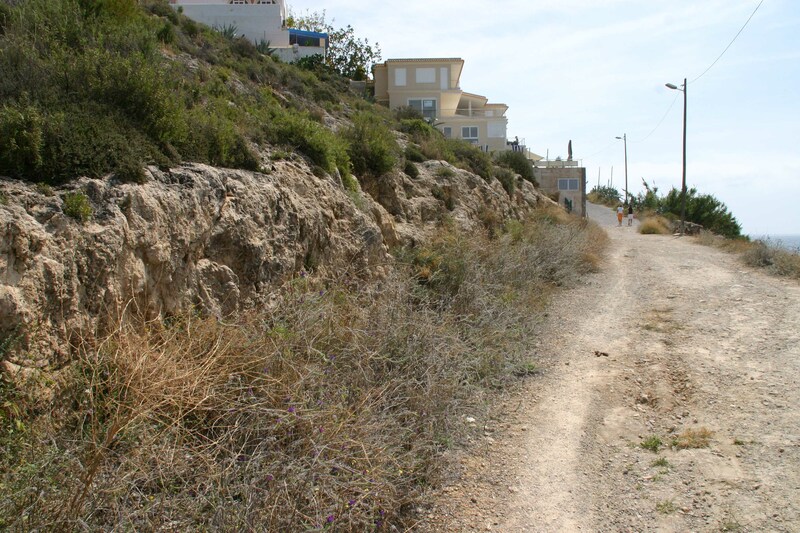 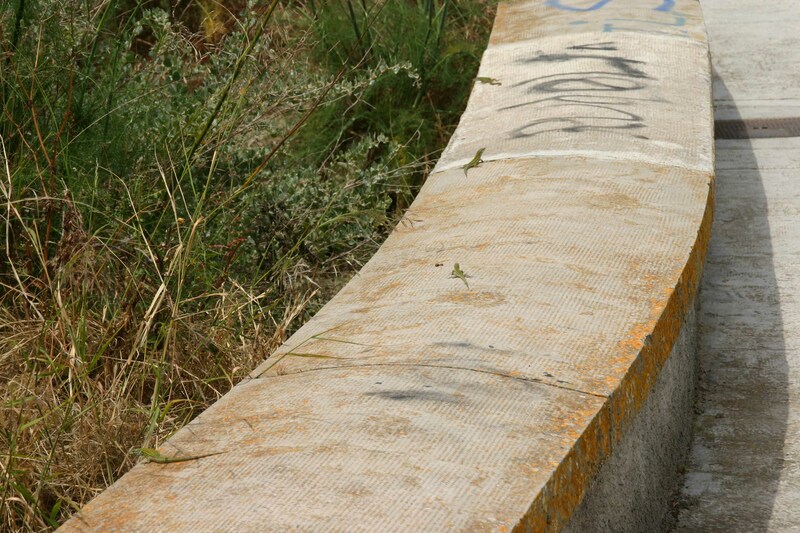 Some of the lizards living in the main town of Ibiza near the harbour were a lot more approachable than those found in natural and semi-natural habitats. 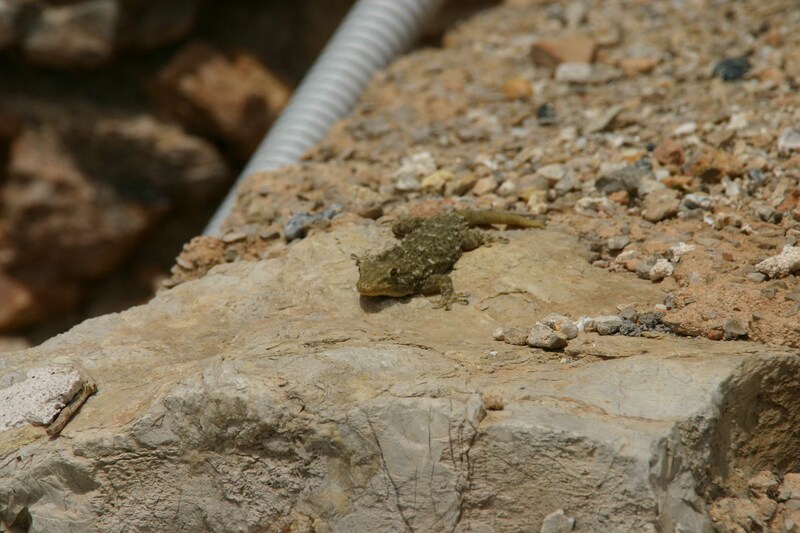 The only other reptile I could find during this trip was the Moorish Gecko (Tarentola mauritanica) which I found to be day active and I never saw animals at night. 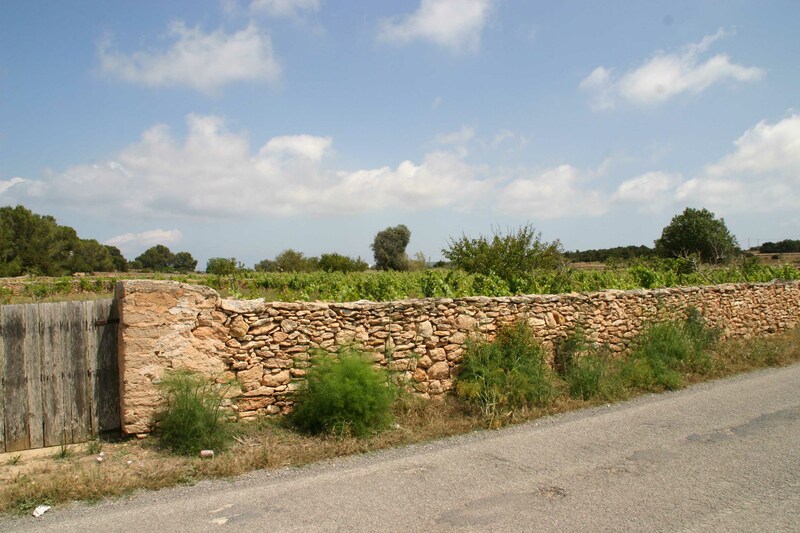 Thanks to Phillipe Geniez for some info for this trip. 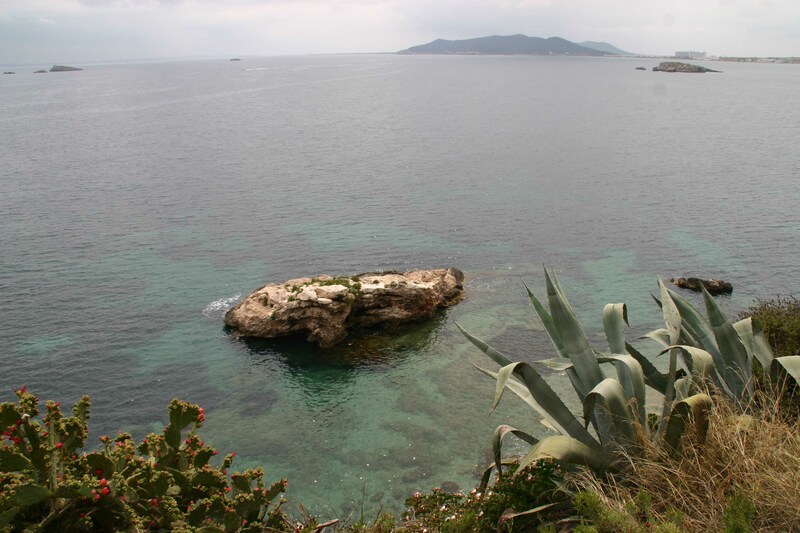 The weather during this trip was not particularly nice, and most of the 5 days the sky was covered with clouds. 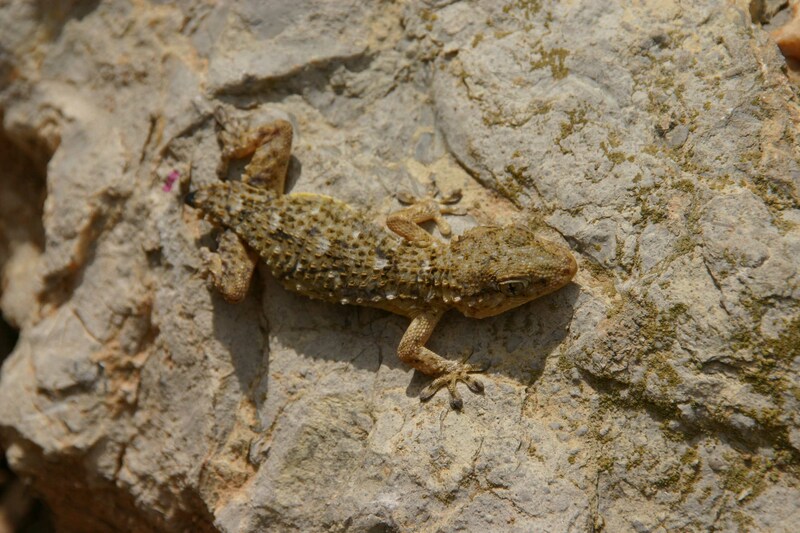 But a few breaks in the clouds was enough to make all the lizards come out and bask so I was able to see many hundreds of the target species during my two field days, as well as around a dozen diurnal Moorish Geckos. 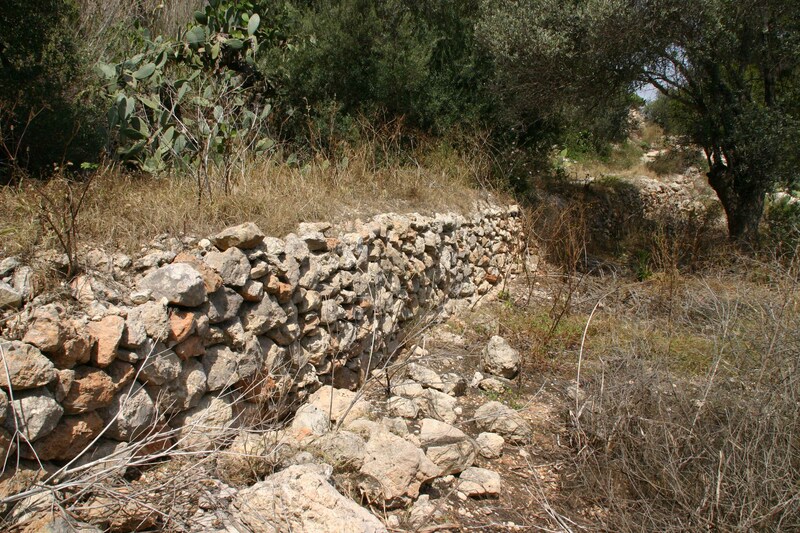 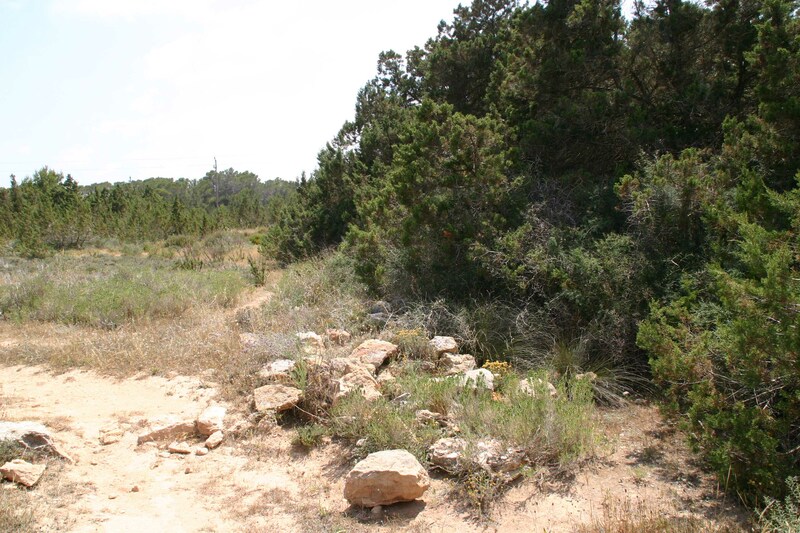 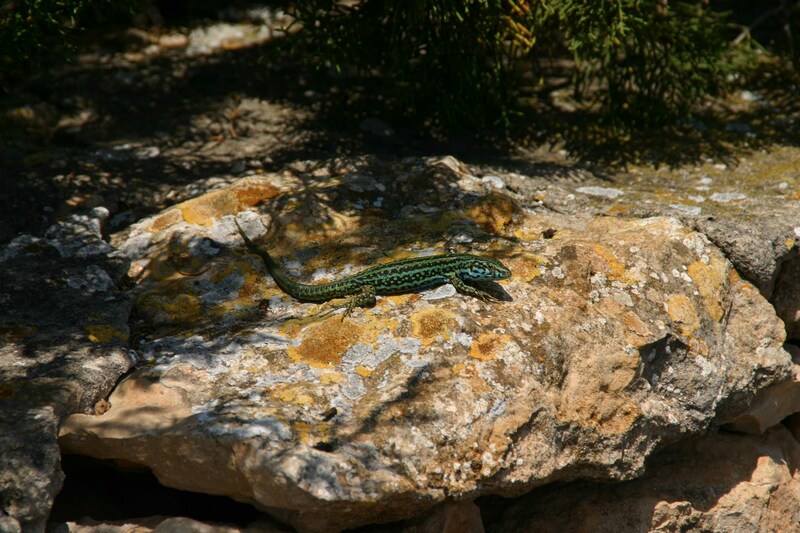 Here are a selection of habitats on Ibiza where I found rather high densities of the wall lizards along with some photos showing variation in colours and patterns. 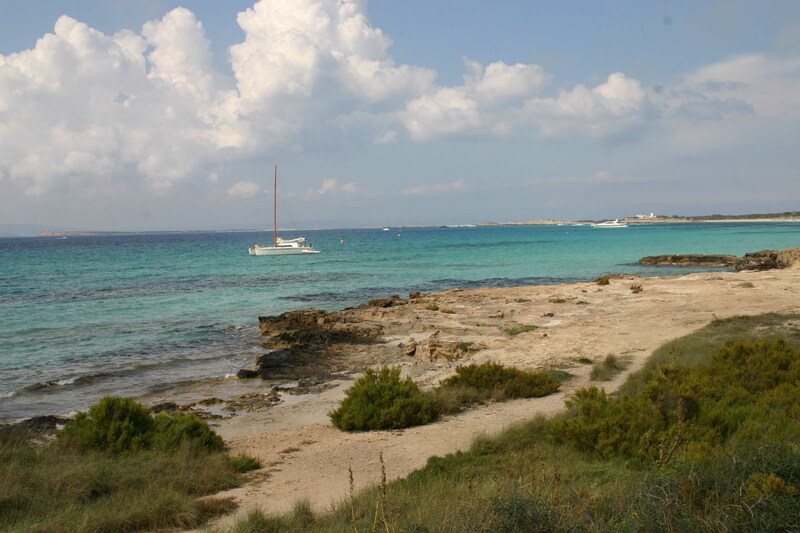 On 17th May I took a small boat across to Formentera which is one of the most beautiful places I have ever visited, and it was a pity I did not have longer to explore it than the few allocated hours. 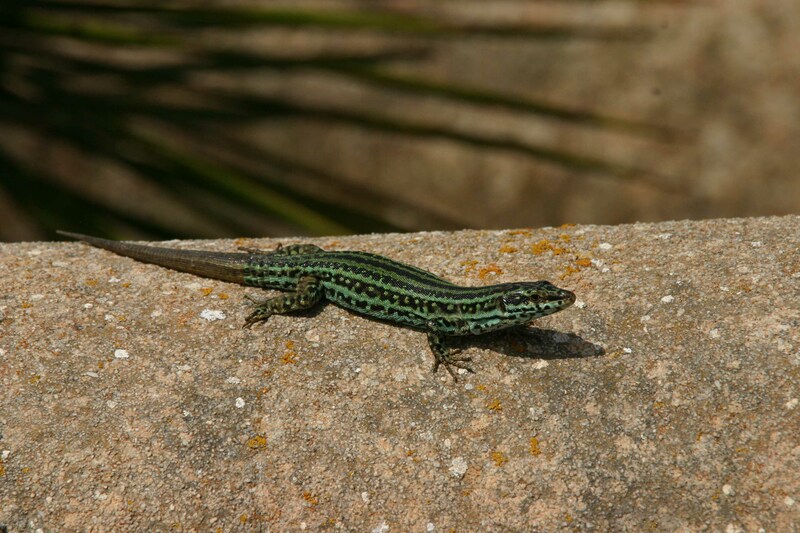 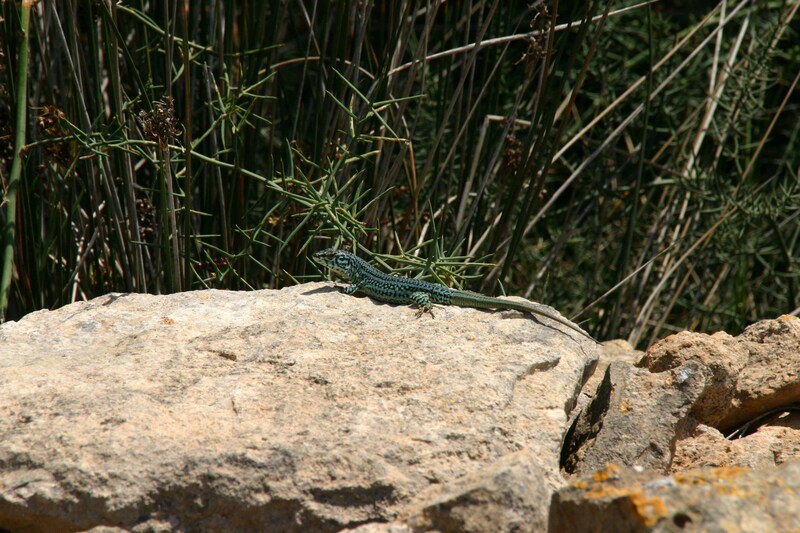 Whereas all my friends went to the beach I wandered off behind the small harbour and immediately found some nice habitats where I first saw the wonderful blue coloured male wall lizards, typical for the Formentera subspecies. 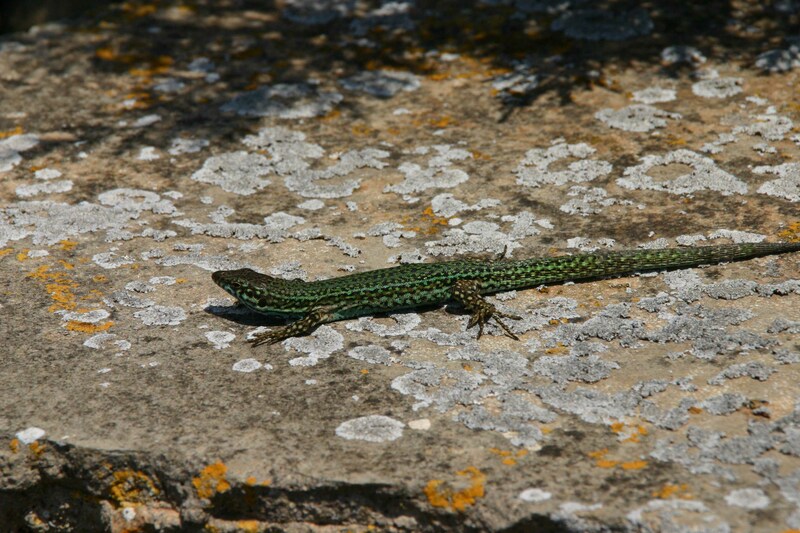 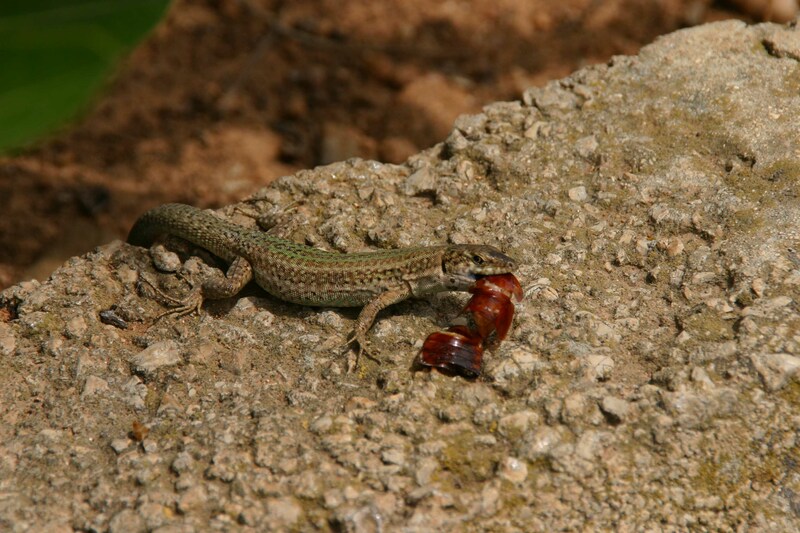 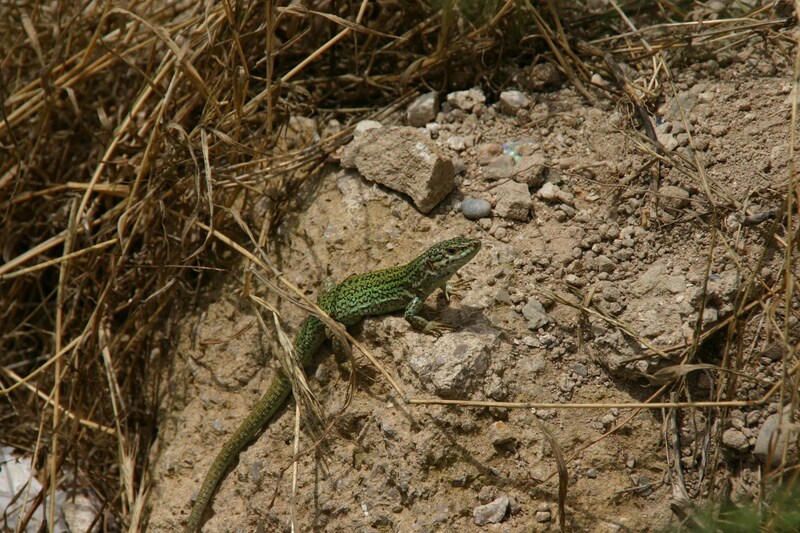 This is without doubt one of the most beautiful lizards I have seen in Europe, and I was amazed by the amount of animals basking in small trees and in high bushes, but sadly I never actually got a photo of this behaviour before they leaped to the ground and took cover.